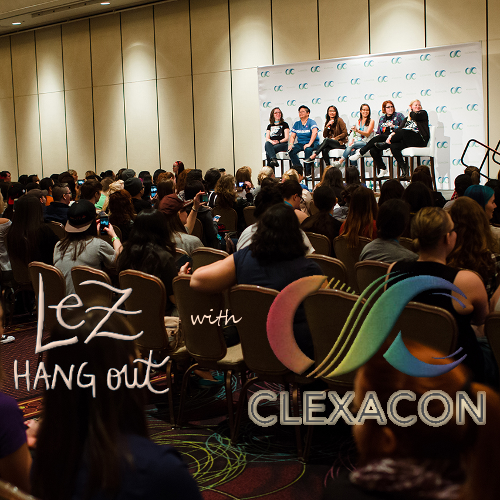 Leigh and Ellie speak with the founders of Clexacon, the largest multi-fandom event for LGBTQ women & allies. Holly Winebarger and Danielle Jablonski along with Ashley Arnold put together this event after the devastating year in queer television in 2016 where a record number of queer women were killed off on network television. We talk Bury Your Gays, Clexa from the 100 and how a positive movement and space where queer women can celebrate and learn from the actresses, show runners and content creators we know and love. If you're going to Clexacon, come see Ellie and Leigh at their Podcast 101 Panel or just say hi! Follow along on Twitter: Lez Hang Out (@lezhangoutpod) and answer our Q & Gay at the end of every episode. Leigh Holmes Foster (@lshfoster) and Ellie Brigida (@elliebrigida). You can also join us on Facebook.com/lezhangoutpod and Instagram (@lezhangoutpod).